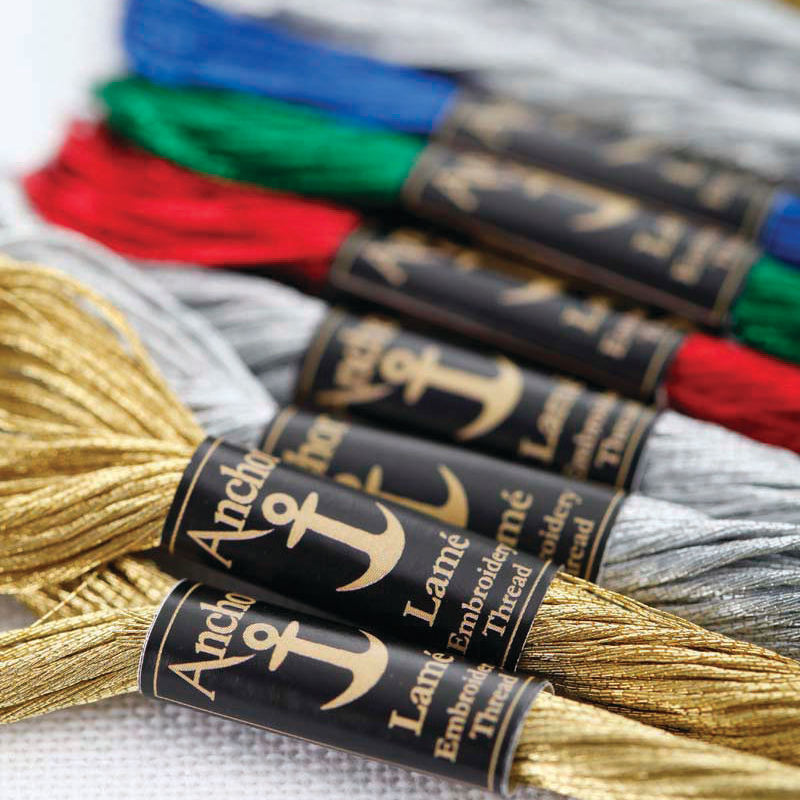 Anchor Lamé is a strandable metallic embroidery thread in 6 metallic colours, which is mainly used in combination with Anchor Stranded Cotton for additional effects in embroidery. Anchor Lamé has a viscose rayon/ polyester metallic construction on 8 m skeins, and can be divided into 12 individual strands depending on the thickness of thread required. 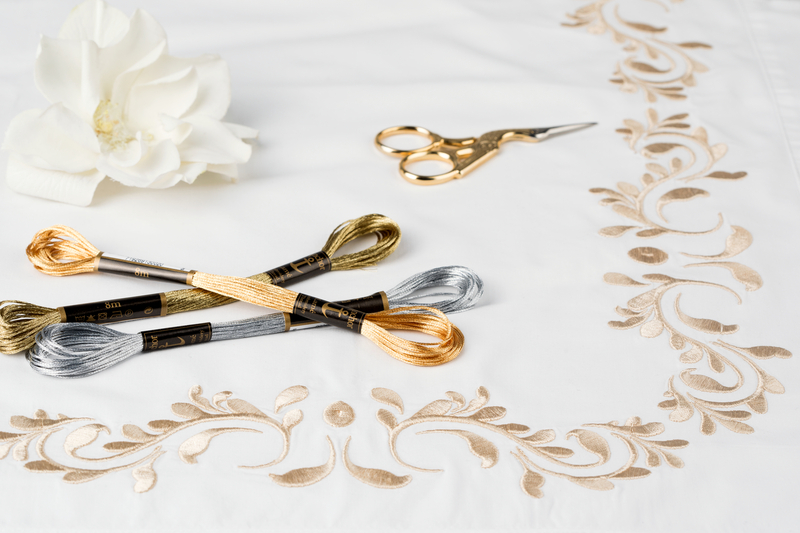 In addition to combining Anchor Lamé with Stranded Cotton for cross stitch, Anchor Lamé is very versatile and can be used for freestyle embroidery and goldwork.